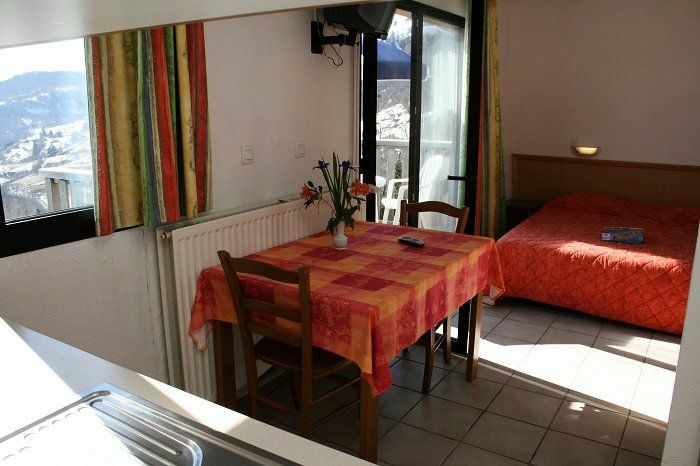 On 20m², nice, well equipped, functional, comfortable, nice, balcony with garden furniture. Perfect your stay as you please by discovering the riches of the region, between space of freedom in the heart of the largest volcano in Europe, gourmet invitation with the cheese road AOC Auvergne and hiking to enjoy the Puy Mary, volcano carved in Pyramid shape offering one of the most beautiful panoramas of France. Not to mention the various sports activities passable: mountain biking, canyoning, climbing and via ferrata, paragliding, adventure park in the forest, déval'luge, sled dogs (wheeled), play area (trampoline, inflatable structures), ice rink, mini golf and tennis courts (at the resort). Studio of about 20m² that can accommodate 2 people. It consists of a living room with 2 single beds, a kitchen area and a bathroom with sink, shower and toilet not separate. Possibility to add a cot in the living room.